Dezeen promotion: a quirky Haringey house, a Stirling Prize-nominated apartment block with wicker balconies and the new home of New Scotland Yard are among the buildings that open up their doors to the public next month, as part of Open House London. Dezeen is media partner for Open House London, a two-day festival that will see over 800 buildings – from private homes to major institutions – offer free guided tours to visitors. For the first time in the event's 25-year history, all of London's boroughs are participating, with highlights ranging from a medieval barn in Ruislip, to a Richard Rogers-designed school in Hackney, and a yurt in Highgate. 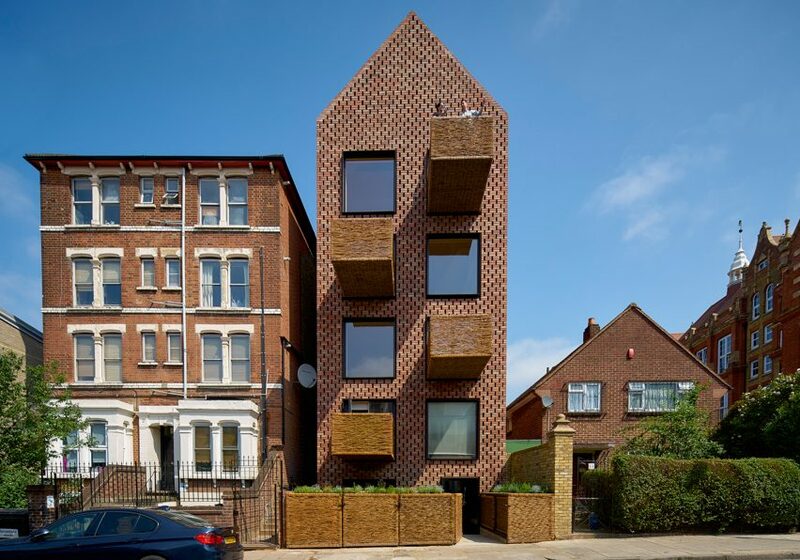 Other buildings openings up their doors as part of the city-wide programme include a 1930s house designed by Berthold Lubektin, a brand new office block by AHMM, a pioneering co-housing scheme for over 50s and the ever-popular BT Tower. Additionally, architecture firm Foster + Partners will be hosting an exhibition in its offices, to mark 50 years of practice. "Simply put, Open House is a sensation, with more than 400,000 building visits during the two-day festival in 2016," said Open House director Rory Olcayto. "Over the years, literally millions of Londoners have enjoyed Open House. When we factor in the Open House worldwide network, which covers 35 cities spread across five continents, audience numbers skyrocket," he continued. "But Open House is more than a numbers game, or a matter of securing prestigious names and projects. Our founding mission is to encourage a deeper understanding of London's buildings, and the people behind them, among our audiences. And, as the programme has developed in successive years, it has shone the spotlight on the public realm and London's amazing infrastructure as well, providing a holistic vision of a vibrant, working city." Open House 2017 takes place from 16-17 September 2017, and will this year be launched by London mayor Sadiq Khan. The 2017 programme goes live on the Open House website on 17 August, which will reveal all the buildings in this year's programme and give booking details. It will also suggest walks and tours across the capital. Alternatively, visitors can pre-order a limited-edition printed guide featuring a silver foil anniversary rosette.